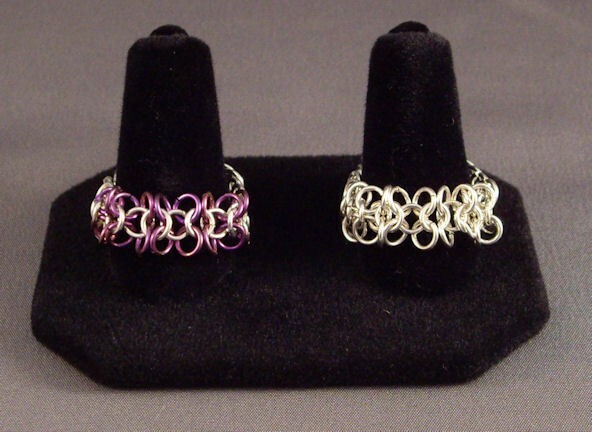 The Flower Ring is very similar to the European 4 in 1 ring, with that weave around the sides and the back, and a flower type weave across the front. It can be made in a solid color or in a two tone. The ring can be made to fit any finger on your hand. This is an advanced beginner project.